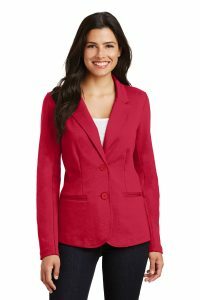 Women's Office Workwear - Adwear Specialties Inc.
As the weather starts to heat up figuring out what to wear to work can be a challenge. You need to beat the outdoor heat, while keeping the chill off in often over-cooled work places. Thankfully the new Concept Line is here! Fashionable and versatile, these pieces transcend the outdoors, indoors, casual and professional workplaces alike. Here’s some great women’s office work wear pieces to make your work life a little more comfortable. Personalize any women’s workwear with custom embroidery or custom screen printing . 4.4-ounce, blended jersey knit, drapy front, long sleeve. Great topper for tanks, tees and blouses in any office environment. has a unique knit back and rayon front is both crisp and comfortable. Longer tunic length with roll-sleeve option. side vents and dropped back hem. Break away from the ordinary office look in this button-down henley style that features 3/4 sleeves open hem sleeves and bottom. With moisture-wicking technology this stylish shirt goes from board room to golf course. scoop neck and subtle curved hem. The perfect scoop tee for a carefree look. 4.3-ounce, 100% ring spun combed cotton. Great for screenprinting fun logos for long girlfriend weekends! and comfortable. No one will ever know you are wearing yoga pants to the office! And who doesn’t need great accessories to go with their office look? These are Adwear’s picks for handy, useful and timeless work-related gear. Interior features dual secret storage compartments. 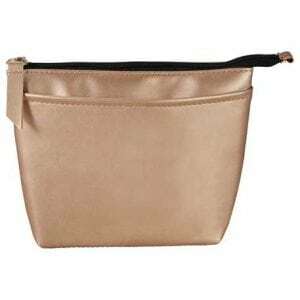 Removable clear vinyl pouch. Mesh pocket. Metallic gold or gunmetal goes with anything. 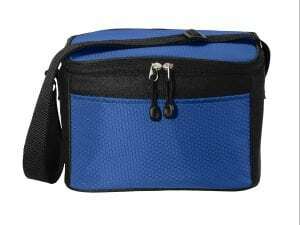 This cooler easily holds six cans as well as an ice pack and is ideal for your lunch. 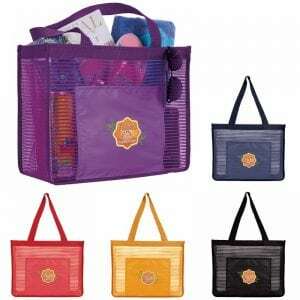 Large main compartment and front slip pocket make this an easy go to bag. It’s mesh fabric is great for tradeshows, sporting events, the beach and the office.